In order to control racing costs, it is necessary to take some time to research and shop around. When purchasing many items, used items that are still in good condition is a very good option. Look at eBay, racing web sites, and other various places. When buying new items, again, take the time to shop around. It is amazing to look at the varying prices a person could pay for even very basic items. To help control your expenditures, define the various items that you need versus items you want. Do you need a 260 piece tool set? Do you need a racing jack? Do you need a race built engine? You get the point. Being creative with your efforts can also go a long way in reducing your racing budget. Consider selling your used tires if they are still in decent shape (not corded or flat spotted) on eBay targeting autocrossers. Yes, I have done this and am surprised at the amount of money people will pay for used racing tires. 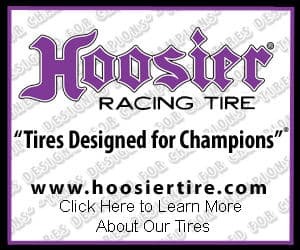 Tire mounting: some racing tire manufactures will mount tires for free or at a discounted rate if you go to one of their distributorship locations. Some repair and tire shops owned by people who also race give other racers a price break. Ask around if someone in your area has any leads. When looking at costs, don’t ignore the smaller ticket items that you will be purchasing. Windshield cleaner, brake fluid, paper towels, wires, zip ties, bolts, beer for you and your crew all add up. It is very easy to make a quick trip to the home improvement store and spend $50 or more on these types of small ticket items. Should you put a dollar figure on your time? My opinion is no. It is not that your time isn’t valuable, it is that you are spending your time on a hobby that you enjoy. Racing did not choose you, you chose to race. When you are pushing a car to its limits and many times beyond, things will happen. Racing is a time consuming sport between general maintenance, repairs, studying, and the events themselves. I have heard the argument that people should associate $10 (as a minimum) for each hour they spend working on the racecar. While you do want to budget your time, the idea of associating a monetary amount per hour seems a bit silly. How much did sitting down watching television cost you? If you were to play basketball, would you associate an hourly figure shooting around? Think about all of the other activities you do – each has an associated trade off. If you have a job where you have the ability to earn additional money by working a few extra hours, then it makes sense to evaluate how long a project would take you to complete versus having someone else complete the work. But then again, that somewhat defeats the purpose. Hopefully time will be spent on your racing hobby because you enjoy it. Race Tires: Are You Ready to Spend Some Money?